DEFENSE: Skylar plays 3B and OF. Skylar has goods hands and a strong arm at 3rd base. He is a good OF and is working on his reads off the bat. 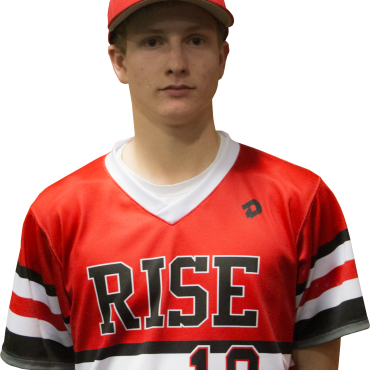 PITCHING: Skylar has a very explosive and quick arm on the mound. His fastball explodes and can work it on both sides of the plate. His change up works well off his fastball with the same action and good speed difference. Skylar also has a very tight and hard late breaking ball, which has been proven to be a devastating to RHH and LHH. Skylar has worked hard on his command of the strike zone in the offseason and it paid off. He can command all 3 pitches in the zone and has picked up velo on his fastballs and his off-speed pitches have become more electric.